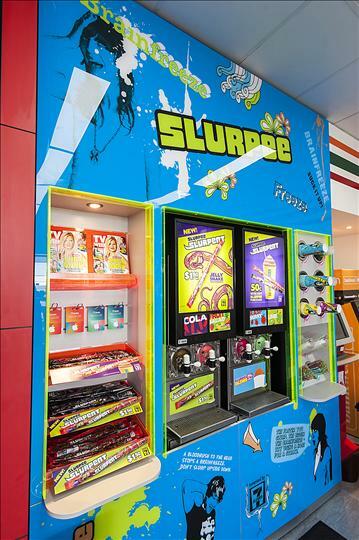 Renowned for super fast service, recognised as the original convenience store and home to the well known Slurpee, 7-Eleven is the largest operator of convenience stores in the world. 7-Eleven focuses on meeting the needs of convenience oriented customers by providing a broad selection of fresh, high quality products and services at everyday fair prices, speedy transactions and a clean, safe and friendly shopping environment. When you buy a 7-Eleven franchise, you buy two things. Firstly, a brand name that’s recognised around the world. Secondly, a franchise model that is a proven success in over 53,000 stores in 18 countries worldwide. ► We find the site and fit it out - 7-Eleven's real estate team chooses sites that are convenient to customers. ► We provide full training - Before you take on a 7-Eleven franchise you have to successfully complete the 10-week 7-Eleven 'Franchisee Training Program'. ► We offer 24 hour support - The 7-Eleven telephone support centre provides assistance 24-hours a day. ► We help with book-keeping - 7-Eleven maintains book-keeping records for your store on your behalf. ► We negotiate with suppliers and provide recommended layouts - We negotiate prices with suppliers and provide recommended product layouts. ► We provide advertising and promotional support -Our marketing team is focused on driving more customers to 7-Eleven stores.